It’s back-to-school season! This past week, we’ve been shopping, creating lists and checking off things to do. One of those tasks included a grocery shopping trip. I needed to pick up lunch items, snack items for school, after school snacks and a few easy weeknight dinner items to get us through the busy nights ahead. We’ve done really well this summer and limited all eating out. Change in schedules, stress and being exhausted are all the perfect excuses to ruin a good thing. 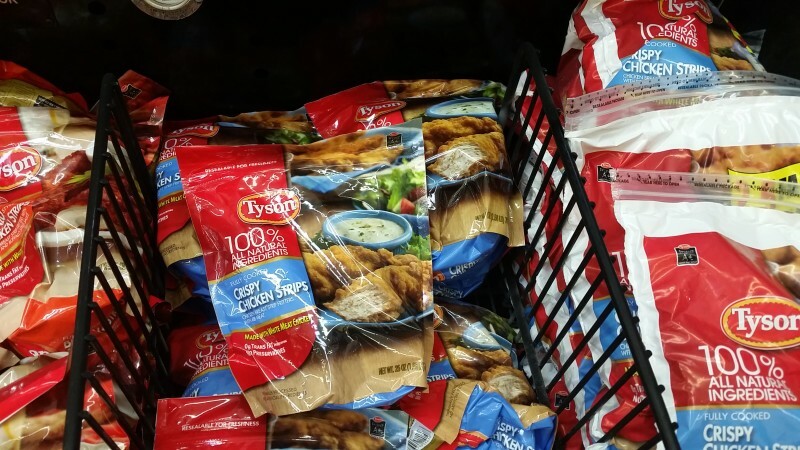 So we made a stop during our recent Walmart shopping trip and picked up Tyson® Crispy Chicken Strips. 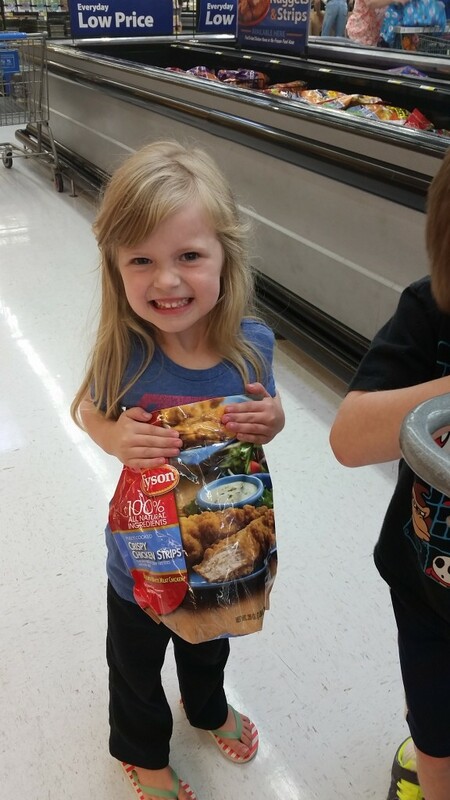 Tyson® Crispy Chicken Strips are so versatile. I use them for my lunch when the afternoon is busy and we love them at dinner time for the whole family. Not only are they simple to prepare, it makes me feel better knowing that Tyson® Crispy Chicken Strips are all white meat and made with 100% natural ingredients! Between keeping up with a gym routine, late drop offs from school and a tired husband, sometimes a quick dinner like Tyson® Crispy Chicken Strips and a side of fruit or veggies is the perfect solution. My kid’s schools need help and I love to help support them. Some of those ways are donating my time for the classroom parties, purchasing snacks for the kids or even participating in programs that give money back to the schools. One of those programs is the Tyson® Project A+™ Program. 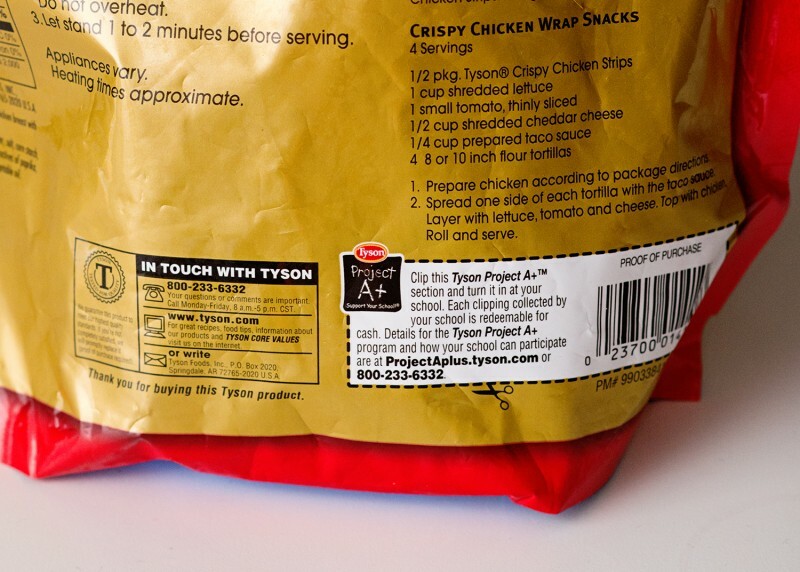 We purchase many of the participating Tyson® products and all it takes is a quick clip of the package label and money will be given to the schools in exchange. Want to give your school a head start in the Tyson® Project A+™ Program? Nominate your school and they could win a packet worth $1,000! 2. Nominate YOUR school by sharing why your school needs a head start on collecting their Tyson® Project A+™ labels. 3. Share your nomination on Social Media and get your friends to join you! Does your school participate in the Tyson® Project A+™ Program? Power Up & Read with Scholastic – Our Top 5 Summer Picks!